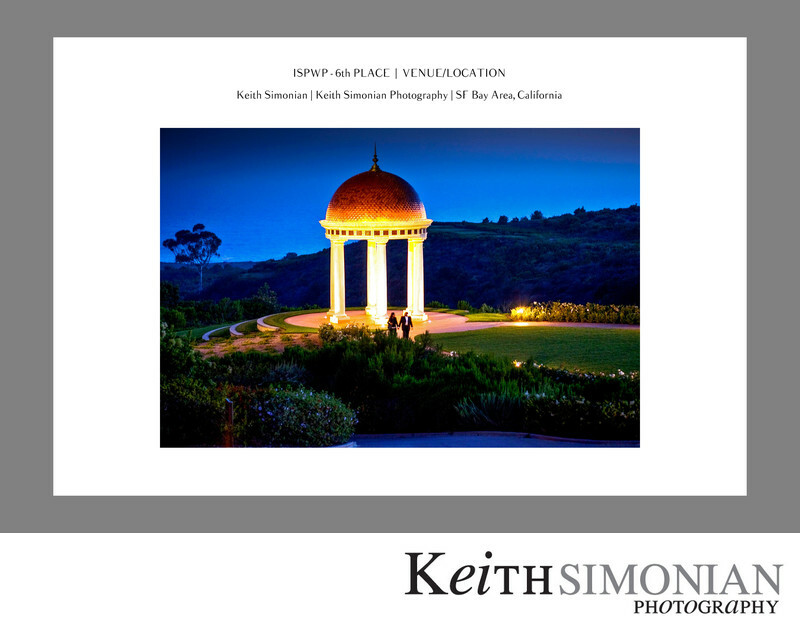 The Event Lawn and Rotunda along with the Pacific Ocean serve as a backdrop for this couple walking during the evening at the Resort at Pelican Hill in Newport Beach, California. This photo taken right at dusk took 6th place in the International Society of Professional Wedding Photographers quarterly contest. Location: Pelican Hill 22701 S Pelican Hill Rd Newport Coast, CA 92657.